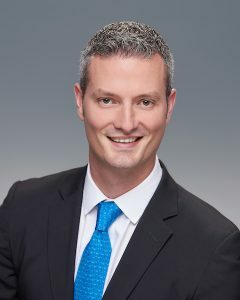 Andrew Farrelly is the co-founder of CT Strategies, which provides strategic services to clients seeking current and innovative insight into border management and supply chain challenges in the U.S. and around the world. While in government, Mr. Farrelly has devoted the majority of his career to the strengthening of United States security interests through an accomplished career with U.S. Customs and Border Protection (CBP). During his time with CBP, Mr. Farrelly significantly developed the operational standards and efficiency as a former Director of Targeting Programs for CBP’s National Targeting Center, as well as in his most recent role as the Chief of Staff for the Deputy Commissioner of U.S. Customs and Border Protection. As Chief of Staff to the Deputy Commissioner, Andrew Farrelly coordinated interagency efforts related to immigration reform, global supply chain security, and intelligence matters. He also served as the point of contact for all emergency situations to include potential terrorist attack threats and natural disaster responses. While serving as the Director of Targeting Programs, Mr. Farrelly oversaw the development of innovative initiatives and operational solutions that enhanced CBP’s capabilities in detecting and identifying potential threats in situations involving the necessity to facilitate the transportation of people and cargo efficiently. His efforts extended to facilitating negotiations with various foreign entities and private corporations to establish partnership programs for securing international transportation and commerce. Mr. Farrelly also led the interagency effort to establish a Risk Characterization as part of the Implementation Plan for the White House Global Supply Chain Security Strategy. In addition to the offices of the Deputy Commissioner’s Chief of Staff and as Director of Targeting Programs, Mr. Farrelly served CBP in several capacities including: Chief of Staff for the Office of Field Operations, Counselor in the Office of the Commissioner, Program Manager in the Secure Freight Initiative, and as a Liaison in the Office of Congressional Affairs. Prior to his time with the CBP, Mr. Farrelly served as a Law Clerk in the office of the Chief Justice for the Supreme Court of New Jersey and as the Executive and Legislative Assistant to Representative Don Sherwood. Mr. Farrelly is a graduate of Seton Hall University Law School and holds a Bachelor of Arts in History and Public Communication from American University.